Healthy Minds Calderdale are on the lookout for volunteers to help their work in a number of areas. 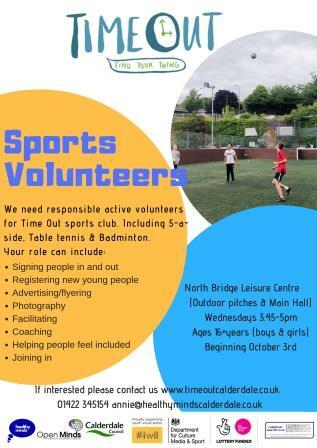 Time Out is a sports club for 11-16 year olds (16+ groups from 3 October) on Wednesday afternoons at North Bridge Leisure Centre. For more information either message from the Time Out Facebook page or drop Annie an email for more information at annie@healthymindscalderdale or call 01422 345154. The Safespace team needs volunteers to help with the service, to assist the staff team and offer supportive company for people who use the service. This can be an emotionally-demanding role and there is a rigorous selection process, with training and ongoing support provided for the right volunteers. 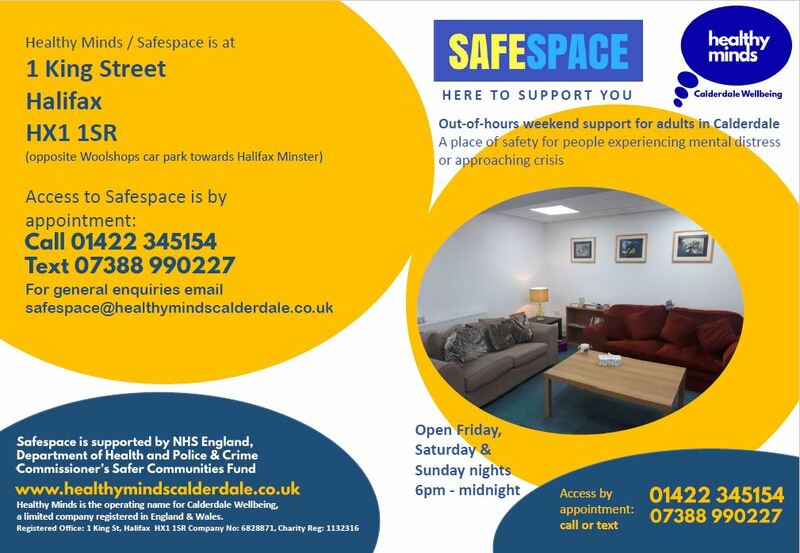 Contact the Safespace team on 01422 345154 or email safespace@healthymindscalderdale.co.uk for further information.